Minneapolis found itself on a list it would like to avoid. Minneapolis ranked third on the list of cities with the most Amazon package thefts according to Shorr Packaging Group. Follow the link to see which other cities made the list. With the holiday season is over, hopefully the package thefts will subside. One year ago, Text to 9-1-1 was launched, with some notable successes. This week, a resident reported that he started his car to warm it up and went inside his house. The resident reported that while he was inside his vehicle was stolen from his driveway. Please remember that leaving your car running, with the keys in the ignition, and unoccupied is not only against the law it also makes you an easy target for criminals. 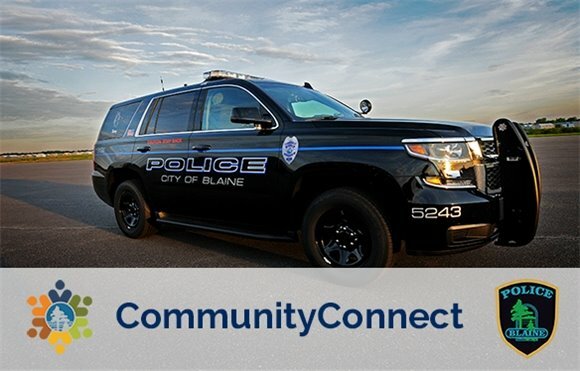 Copyright 2017 City of Blaine. All Rights Reserved.